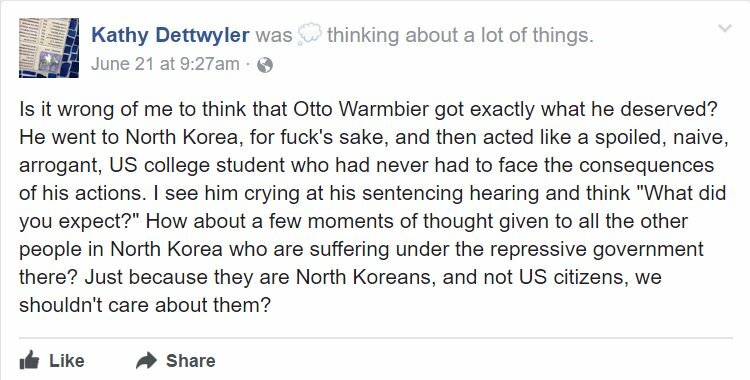 A professor at the University of Delaware has not been rehired for posting a harsh status about Otto Warmbier, the UVA student who died after being held prisoner in North Korea. 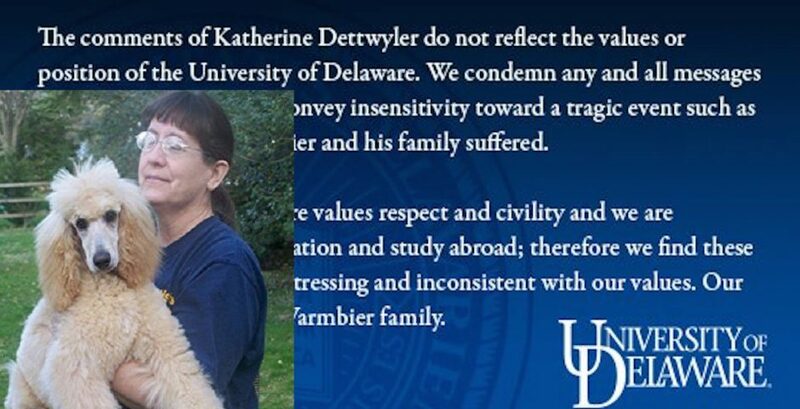 UDel has confirmed her contract as an adjunct professor will not be renewed. While the essence of her post stated that he “deserved” what happened to him, it also hinted at a cruel outlook towards all her students. “These are the same kids who cry about their grades because they didn’t think they’d really have to read and study the material to get a good grade,” Dettwyler said later. She has since deleted her account.